This 4-bedroom, 4-bathroom home is seated atop Santa Barbara’s famed Riviera and was first built in 1978 but has been transformed into the mid-century modern masterpiece that it is today. 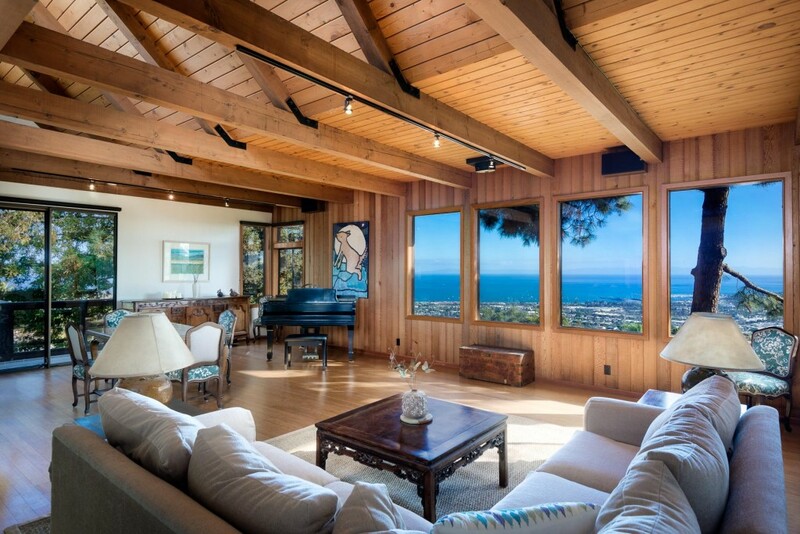 The home is situated on almost a quarter acre of land with stunning panoramic ocean, city, and mountain views. A massive steel front door will welcome you into the gorgeous atrium that boasts an abundance of natural light. It leads to the spacious great room that features tongue and groove high beam ceilings as well as walls of glass which gives you a stunning view overlooking The Pacific. A steel staircase will lead you to the equally glorious guest bedroom/studio suite that does not pale in comparison to the other bedrooms. There are multiple outdoor entertaining areas such as the deck with sunken hot tub and pergola, where you can hold a party or have a nice relaxing evening. This 3-bedroom, 2.5-bathroom home is located on a quiet cul-de-sac with a breathtaking view of the mountains and the surrounding area. The home was first built in 1973, but has been meticulously maintained and has been updated into a modern masterpiece with a mix of sophistication and simplicity. Situated on almost 3/4 acre of meticulously landscaped grounds, the property is as beautiful as the surrounding area. A spacious gourmet kitchen with center island and breakfast area is connected to the spacious family room, with beautifully crafted French doors that lead to the built-in-bbq and outdoor fridge. 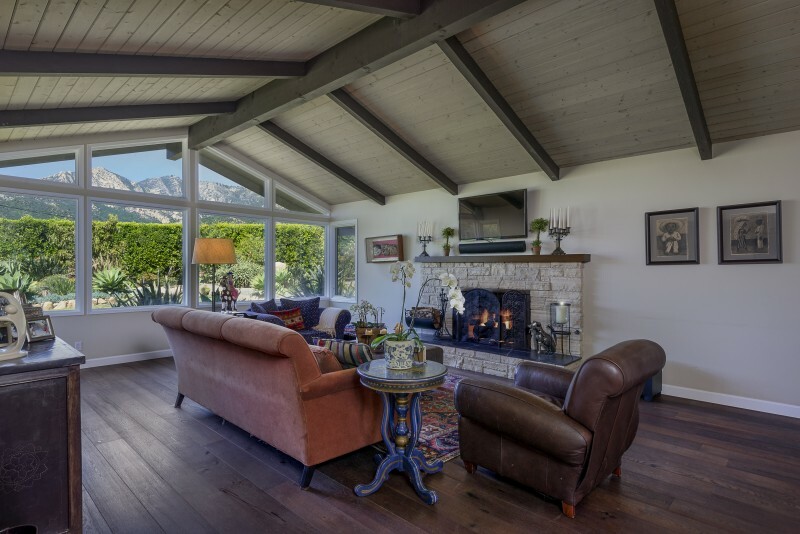 The home has all-around wood flooring, a formal dining room, spacious living room with vaulted ceilings, high walls of glass that give the home an abundance of natural light and a stunning view of the majestic mountains. Outside are a large yard and manicured grounds where your kids can enjoy playing. There’s a 3-car garage, close proximity to trails, downtown, and Montecito. 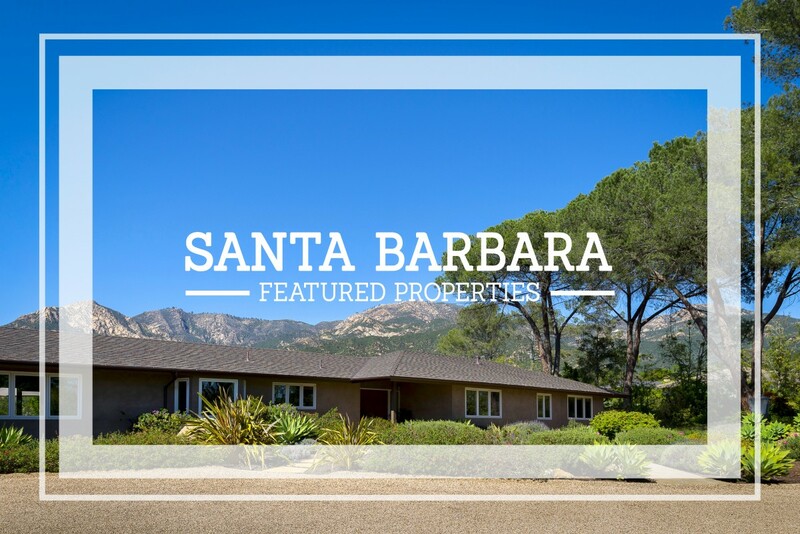 If you are in search of a property in the Santa Barbara area, then Team Scarborough would be the best equipped to help you in your search. Ann and Jim Scarborough have been top selling agents for more than 27 years and have a vast knowledge of the local real estate market. We can guarantee that each and every one of our clients will receive the same amount of personal attention and diligence in order to help you find your dream home. This 3-bedroom, 2-bathroom Hope Ranch home is situated on over 1 acre of land with a stunning view of the mountains and the nearby golf course. The home boasts an abundance of natural light with top-notch modern craftsmanship and original details. 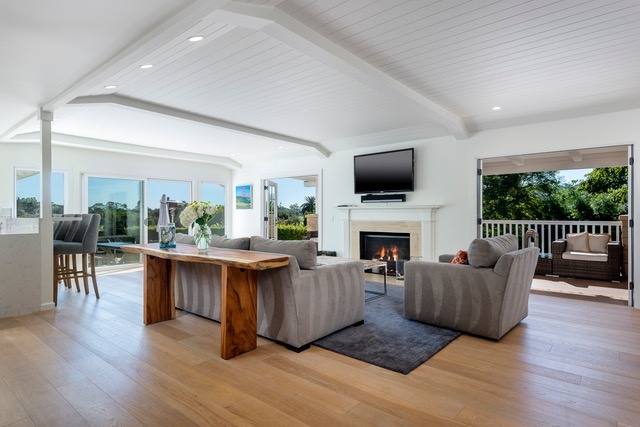 The features include a spacious open floor plan that connects the living room and dining room areas, gorgeous white oak flooring, elegant quartz countertops, and lovely French doors throughout the home. The spacious living room area is built with high coved ceilings which make for cooler temperatures even during the summer. Outside is a newly built covered porch, dining patio, and lush landscaped garden with Hope Ranch vistas. There is a separate guest structure with its own room, bath, and kitchenette. Definitely a must see! This 5-bedroom home is cozily nestled behind a tree-lined hedge in the scenic Hope Ranch. The home boasts breathtaking views from the gourmet kitchen and dining area which makes dining an even more enjoyable experience. There is a large office with a built-in desk which overlooks the spacious private backyard giving you a lovely view and making work a little more enjoyable. 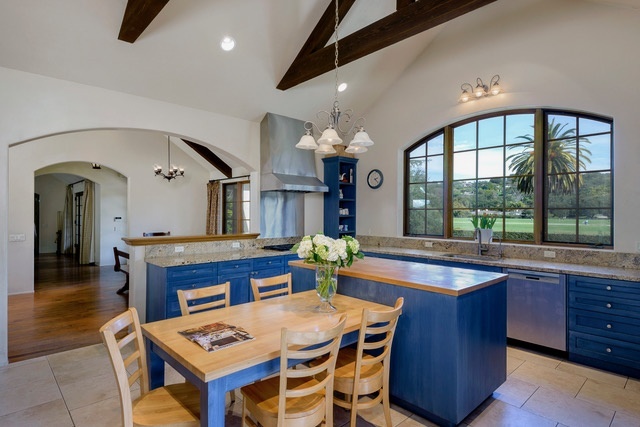 The open floor plan connects the gourmet kitchen to the large family room, dining area, and living room. The home boasts an abundance of natural light which adds to its beauty and helps you conserve energy. Enter the formal living room through lovely French doors where you can sit down with your family near the fireplace and drink some hot cocoa during a cold winter night. All 5 bedrooms, including the spacious master bedroom, are located in the same wing of the house. Other amenities of the home include soaring ceilings, beautiful finishes, hardwood floors and a private yard making this property a must see!